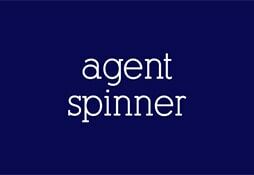 Agent Spinner Review 2019 | Here's Why We RECOMMEND Them! Agent Spinner Casino is one of the newest casinos listed on these pages, having come into being only in 2017. The layout of the casino is easy to navigate, and as the name would suggest there is a focus on slot games here. The site is presented in tasteful shades of blue, with the titular agent a sophisticated man about town with cocktail in hand. There is a relaxed and informal vibe about this casino, which promises an entertaining and sophisticated online gaming experience. We are welcomed to ‘the Agency’ and presented with various missions to complete on the site to earn rewards. The site was created by a group of casino lovers ‘to bring the best possible casino experience to online casino lovers’ according to the mission statement. With over 800 games to choose from, they certainly deliver on that score and this casino is definitely one to watch for the future. MT Secure Trade Limited opened Agent Spinner Casino for business in 2017. This is a group with a wealth of experience in the industry, as they operate eleven other online casinos including Dunder, Cashimo, Betspin, Rizk, and Guts Casino. Quite an impressive portfolio. This casino provides a secure and fully regulated site to play real money games on and makes a point of offering a great selection of games from the best providers around. The site is also customized for mobile use and so you can play on the go as you complete your secret missions for the Agency. These missions allow you to earn great rewards like free spins, cash and raffle tickets where you can win fabulous prizes. While Agent Spinner may be all about secrets and spies, the welcome bonus is delightfully simple, if not overly impressive in terms of size. You get a 100% matching bonus based on your initial deposit, and this can go up to a maximum of $/€100. Along with this, you get 100 free spins for the Spinions game. These free spins are parcelled out at 10 per day for the first ten days, so you will need to keep coming back to the site to take advantage of all of them. There is a wagering requirement of 35 times your bonus in order to withdraw, which is not excessive. There aren’t any other active promotions available at the moment, but as this is a very new site we can expect more promos to come into effect over the coming months and years. Agent Spinner offers lots of different ways for you to deposit and withdraw your funds, all the while maintaining the highest levels of security. Natural many prefer the option to use debit or credit cards, and both MasterCard and Visa are available to use here. The fastest growing payment methods with online players are probably Skrill and Neteller, and both options can also be found at Agent Spinner Casino. Paysafecard is another payment method growing in popularity. This allows you to remain anonymous when you deposit, as it utilizes a voucher system. You have also got options like Euteller, Simpler and Trustly to operate bank transfers, depending on your location. If you are a fan of slot gaming, then you may just have found your perfect online casino right here. The selection of gaming providers alone is simply stunning, a slot-lovers dream. That means we are talking Quickspin, NetEnt, Microgaming, Yggdrasil, Play n GO, WMS and Evolution. Playtech is really the only premier quality name missing from that list, but otherwise it is a mighty impressive selection. There is a live casino and selection of table games, and with Evolution Gaming involved you know the live dealer games will be of the highest quality. However, as per the name of the casino, slots are where the real action is and you will not be disappointed with the amazing selection on offer here. The FAQ section at Agent Spinner keeps things simple but will answer a couple of the most popular questions you are likely to have about the site. Otherwise, you have got the option to get in contact with this Malta-based site by live chat to get an instant answer to any questions you have. This is where the customer support aspect falls down a little though, as there are no other options except live chat. We would like to see email and telephone contacts made available, but we will give this young casino the benefit of the doubt and hope they appear in the future. It is abundantly clear that Agent Spinner Casino has been created by people who know and love the online gaming industry. The selection of games is quite wonderful, and it is great to see so many different providers available on the same site. This is a very new casino, and clearly, it is not fully loaded when compared to more established competitors. However, with such experienced operators, there is no doubt that this beautifully designed site can go a long way. Join the world of espionage at this super slot-loving Agency and you will enjoy a sleek and sophisticated gaming experience.